I decided that if that stinker groundhog goes back into his home tomorrow, then I am going to have a slice of this pie for breakfast every morning for the next six weeks. 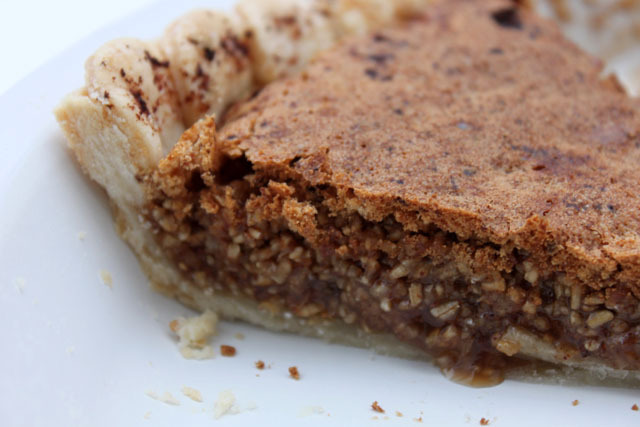 My new recipe was initially inspired by Sophie Leavitt’s Oatmeal Pie in the All New Penny Pincher’s Cookbook (my mom told me that she purchased the cookbook after Ms. Leavitt appeared on Phil Donahue’s program!). 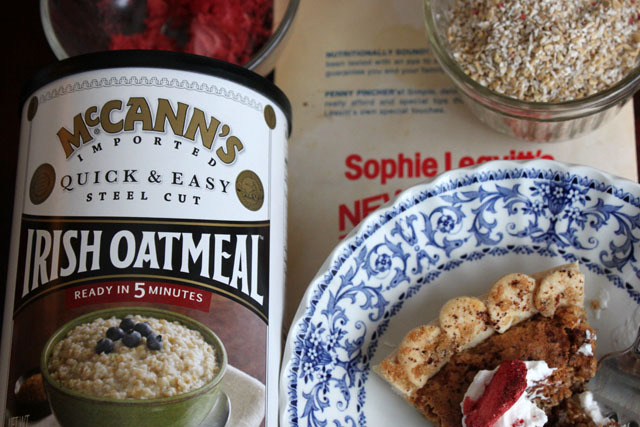 I made a few versions, one with strawberries and this one with espresso, steel cut oats, and less sugar. 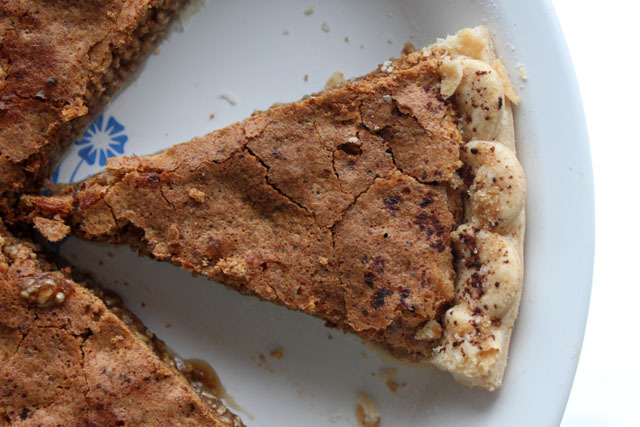 Definitely a sweet cafe, hearty, and high-in-fiber pie. Make it an all-the-way Irish dessert by topping it off with whipped whiskey cream and serving it alongside an Irish coffee. Happy February. Is it March yet? Mix in 1 C brown sugar, 1 t cinnamon, 2 T instant espresso powder, and 1/2 t salt. 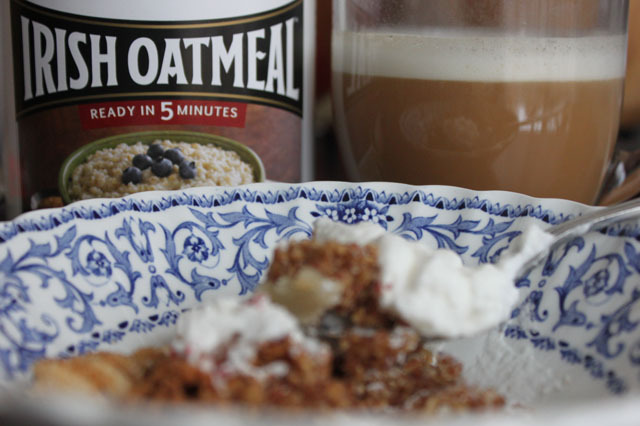 Stir in 1 1/2 C quick-cooking Irish Oatmeal. Melt 2 T unsalted butter. *Pour in 9″ unbaked pie shell. 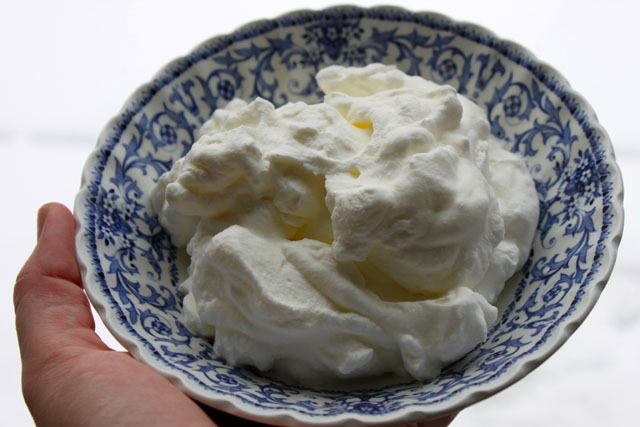 Whip the cream until it begins to form soft peaks. Add the sugar and whiskey and beat until stiff peaks form. Cover and chill until needed. Plunk as much as you please on the pie or in your coffee. *you wouldn’t have to use a pie shell… but before baking I like to brush butter on the dough and sprinkle with brown sugar and sea salt. And it complements Alfred Meakin Forum Blue china perfectly! It taste just like pecan pie without the calories. This looks awesome. I am going to make this soon. I hope you like it – let me know how it turns out! It seems so yummy…I feel like tasting it now.